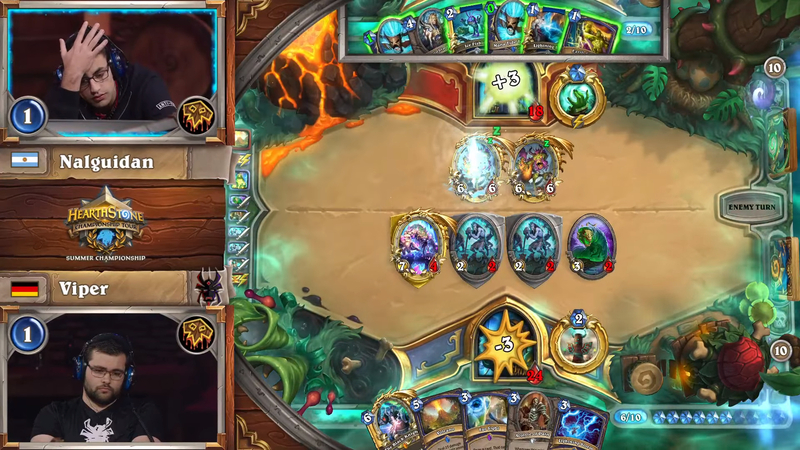 In a weekend filled with exciting Hearthstone action, one game stood out above the rest. What happens when a Shudderwock mirror sees both Shudderwocks fail? Shacknews breaks down a truly memorable matchup. The 2018 Hearthstone Summer Championship ended in exciting fashion on Sunday with a four-game series that saw Raphael "BunnyHoppor" Peltzer crowned this year's champion. 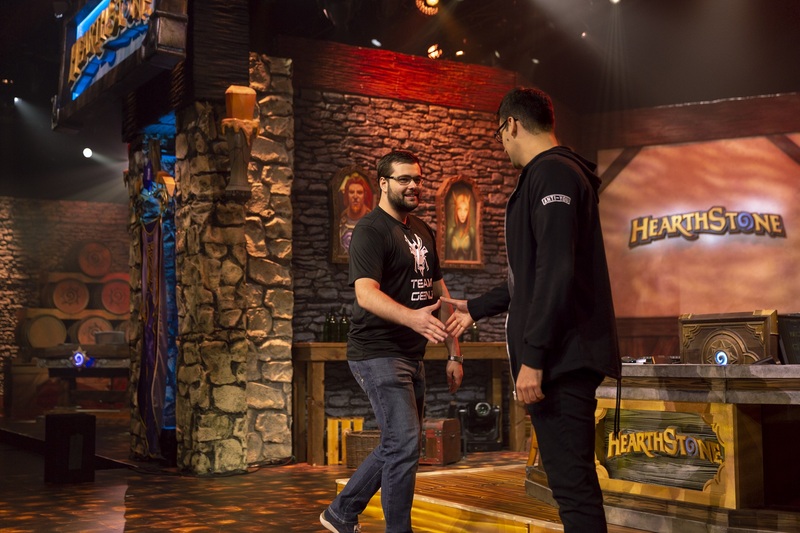 Four players in total advanced to the Hearthstone World Championship in 2019 across a full weekend of action. 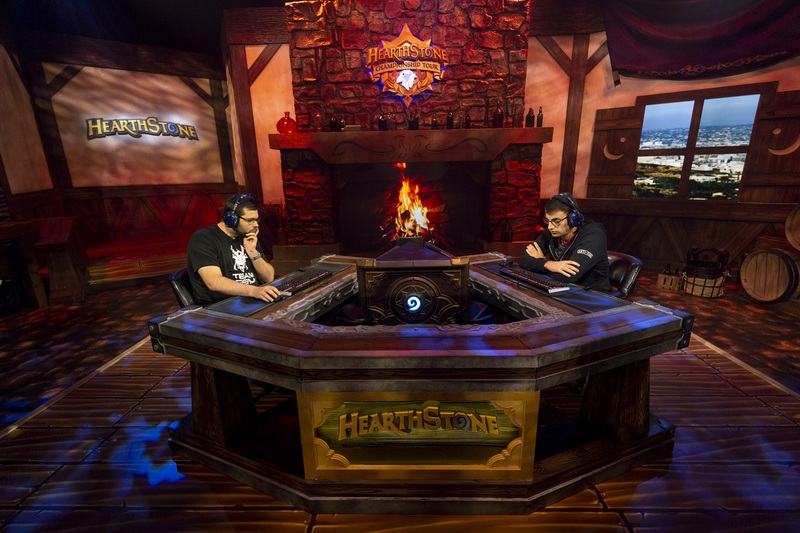 However, there was one match in particular that followers of competitive Hearthstone will not forget for a long time. The Shudderwock Shaman is a different type of Exodia (one-turn kill) deck, one in which the player racks up and plays all of the necessary pieces and then plays the legendary 9-Cost 6/6 Shudderwock, which repeats all friendly Battlecries in a random order. At that point, it's death by a thousand cuts, as players watch the animations play out helplessly, fruitlessly hoping that they'll be left with any modicum of Health. However, even after the pieces are laid down, playing Shudderwock is stil not necessarily a guaranteed win. So what happened when things went terribly wrong for both Fracundo "Nalguidan" Pruzzo and Torben "Viper" Wahl? The match devolved into the very best and worst of Hearthstone, all rolled into a single match. Saronite Chain Gang: This creates multiple copies of Shudderwock. Lifedrinker: Saps 3 Health from the opponent. When used multiple times, it eventually brings the opponent down to zero. Grumble, Worldshaker: This returns friendly minions on the board to the player's hand with the cost of one mana. This allows for repeated Shudderwock plays across subsequent turns. Murmuring Elemental: The next Shudderwock played on this turn will activate its Battlecry twice. In order to activate this combo to its fullest potential, players must lay down each of these cards over the course of the game before playing Shudderwock. However, it's not always that simple. There's still a small chance that the final Shudderwock combo can fail. Both players had their Grumble on the board. Viper was on Turn 8 and sensed an opportunity to get ahead of his opponent by playing the Coin and his Shudderwock a turn earlier than Nalguidan expected. Because the Grumble Battlecry activated first, Viper did not receive any copies of Shudderwock in his hand. Instead, he got his own Grumble back. The Saronite Chain Gang Battlecry left him with two 6/6 Shudderwocks on the board. He wasn't completely cooked, because a Glacial Shard Battlecry left the opposing Grumble frozen. If either of the Shudderwocks could survive, Viper could play his 1-Cost Grumble on the next turn and try again. Unfortunately for him, Nalguidan had an answer. He had received a discounted Murmuring Elemental off of his Grumble, which meant that for his Turn 9 play, he laid down the Murmuring Elemental and Hagatha The Witch. With Hagatha's Battlecry activating twice, it means that her deployment dealt six damage to all minions, which cleared off both of Viper's Shudderwocks. So Nalguidan should cruise to victory from here, right? Especially because two turns later, he played Far Sight and pulled out a discounted Shudderwock? Not quite. Yes, because the Grumble Battlecry activated first, Nalguidan's Shudderwock was also a dud. On top of that, the Hagatha Battlecry left him with three 6/3 Shudderwocks on board. Viper was easily able to clear them all with Lightning Storm. Both players' win conditions were completely out the window. In fact, their backup win conditions in the 7-Attack Grumble were also exhausted. The game was going to come to which player could fatigue the other. However, both players only had card-drawing minions remaining, like Acolyte of Pain and Mana Tide Totem. That meant the next several turns were "Hero Power, Pass" with not much action going on. Both players looked to be at a loss for what to do next, as each of them filled their hands to maximum capacity. The game was ultimately going to come down to calculation and mathematics. Which player could force the other player to draw more and get to the lethal fatigue stage, as a result? The big difference was that Nalguidan was fortunate enough to draw Hagatha relatively early. Viper's Hagatha sat at the bottom of his deck, so unlike his opponent, Viper could not create random Shaman spells with every minion play. Random Shaman spells meant a lot in this game, with Nalguidan able to cause burst damage with Lightning Bolt, Tidal Surge able to generate Health, and Ancestral Spirit to keep minions on board. At the end, it was a 6/6 Hemet, Jungle Hunter combined with a Hagatha-generated Spirit Echo spell, which would return everything to Nalguidan's hand, that made all the difference. Even facing down the same level of fatigue, Nalguidan had many more resources that Viper did not and Nalguidan was ultimately able to take this marathon victory. How Could This Game Have Gone Differently? In hindsight, Viper had more Saronite Chain Gangs available to him, which could have created more copies of Shudderwock. His odds of the Grumble Battlecry activating first would have been diminished. However, when facing down the same type of deck, one of the most important things is to be the first to get Shudderwock online. With that in mind, Viper went for the glory with the Turn 8 Shudderwock play. One could argue that Viper should have remembered that Nalguidan Grumble'd his Murmuring Elemental back into his hand and that a combo with Hagatha was possible. Nonetheless, it was an admirable gamble, albeit one that would ultimately cost him. As for Nalguidan, he was the victim of some truly terrible luck. 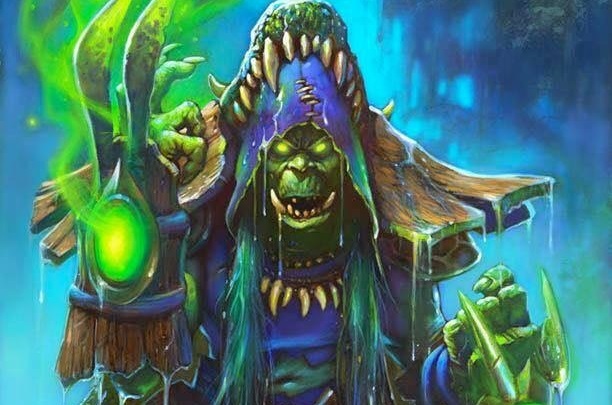 While the Hagatha did contribute to his eventual win, her Battlecry did his Shudderwocks no favors, as it left them within striking distance of the Lightning Storm. From there, a marathon was unavoidable. Both players had far too many board clear solutions for any remaining mid-level minions, like Hemet and The Black Knight. But trying to burst or go face wasn't the answer either, because of Healing Rain and its degree of effectiveness. This match will go down as one of the worst competitive games ever played, because once both players' Shudderwocks were gone, they were both running on empty. All they could do was Hero Power and pass, out of pure lack of options, which was brutal to sit through as a spectator. And it's not the fault of either of the players. Shortly after the game was over, DisguisedToast went on his Twitch channel and observed that there was very little either player could have done differently. Sometimes that's just how the game goes. However, the final minutes also ensure that this goes down as one of the most fascinating competitive Hearthstone games ever. With both players down to fatigue and minions that could only make their situations worse, it was an interesting game of mental chess to see who could put themselves in the best situation to win the game. And on top of that, the long string of bad luck started to become perversely entertaining. Nalguidan's terrible Disovery options for Blazing Invocation was only matched by Viper's rotten luck in continuing to generate Primal Talismans spells, which would only leave him with useless Totems on the board. This was a showcase of bad RNG and it eventually got so bad, it went all the way back around to being entertaining. The Hearthstone Summer Championship ended with BunnyHoppor as the big winner, but nobody in attendance on Sunday will forget the epic Shudderwock mirror for quite a while. If you watched the HCT Summer Championship this weekend, what was your most memorable moment? Join the conversation and let us know in the comments.